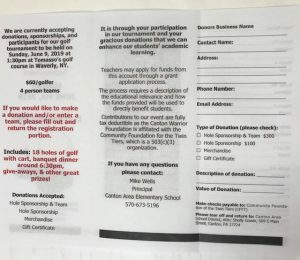 The purpose of the foundation is to support and enhance the education of Canton Area School District students by providing funds for educational programs, student activities, and improvements outside the normal school budget. Payments made to the foundation are tax deductible. Receipts will be issued. Checks written should be payable to CFTT/Canton Warriors. 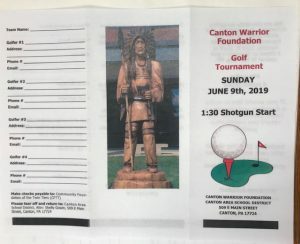 The Canton Warrior Foundation Golf Tournament is a great way to support the Foundation.